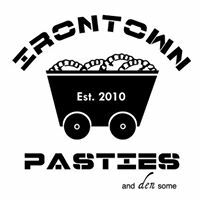 Irontown Pasties is a Negaunee restaurant in the Upper Peninsula. At Irontown Pasties we understand the value of variety, especially for those with eating restrictions. That’s why we do our best to provide options for our vegetarian, vegan, and gluten-free friends, in addition to our traditional-style pasties.